The Lutron Clear Connect CCD-W6BRL is a wireless Keypad that can be configured to control lights, shades and AV equipment. 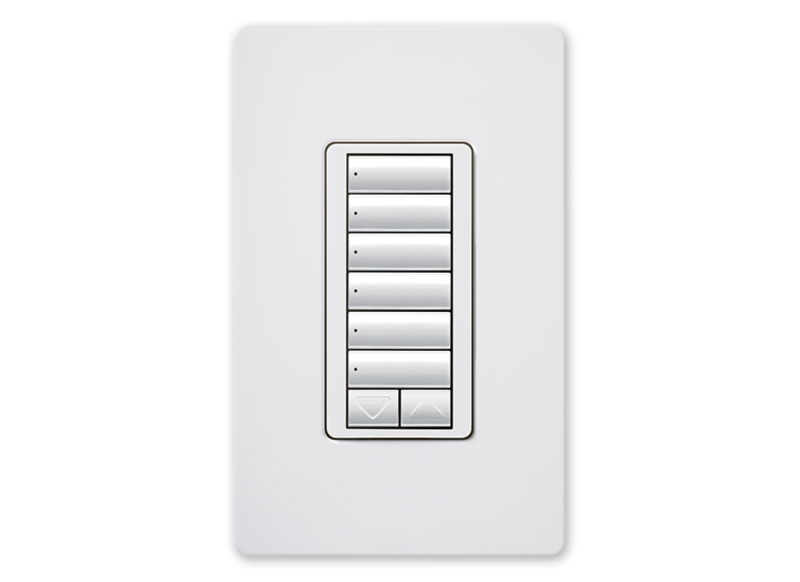 The Keypad when added to a Clear Connect System provides light control to virtually any location, without pulling wires. The single-gang 6-button Wall Keypad with raise and lower buttons is available in white and features backlit buttons and personalized engraving.